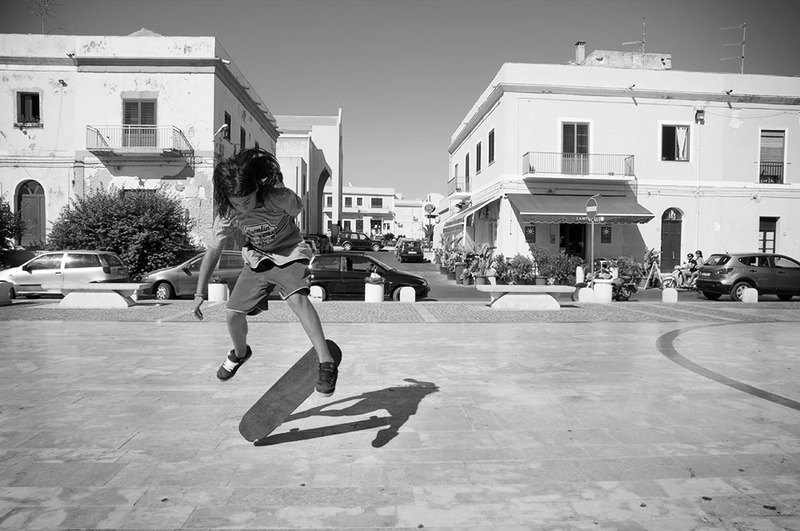 Grooving Lampedusa by Mario Badagliacca. In 2017 the American Association for Italian Studies and the Canadian Society for Italian Studies will join forces for an unprecedented conference at The Ohio State University in Columbus, Ohio! The two major Italian Studies organizations will meet on April 20-22, 2017 for three days of sessions, round tables, workshops, and keynote speakers. In order to organize a session or a roundtable, you must be a member in good standing of either the AAIS or the CSIS. If you are not a member of the AAIS or the CSIS and wish to propose a session, the first step is to join the organization that you typically joined in the past, then forward your proposal to aaiscsis@gmail.com. Individuals may contact you and formally propose presentations for inclusion in your session or roundtable, or you may directly invite individuals to participate in the session or roundtable. Please respond promptly to all inquiries from prospective speakers. All prospective speakers must submit via email a 200-300-word abstract of the presentation, a brief biographical note, and requests for audio-visual equipment. Please note that the AAIS and the CSIS will only provide data projector, screen, and speakers. Submission of a proposal does not automatically guarantee its acceptance. Session and Roundtable Chairs choose papers based on the quality of the abstract and its appropriateness to the topic of a given session. That accepted papers have only been submitted to one panel. Speakers are members in good standing of the AAIS or the CSIS. Speakers have been informed of AAIS/CSIS Conference guidelines for speakers. Sessions should ideally contain three papers, although sessions containing four speakers are acceptable. If you receive six good proposals, please submit two sessions. On the other hand, should you receive only one or two proposals, please forward them to the Conference Organizer for possible placement elsewhere. In proposing sessions and roundtables, please include no more than two individuals from any single institution. Both sessions and roundtables involve presentations. The assumption for a roundtable, however, is that the presentations are limited to five minutes at the most and that much of the time of the roundtable is devoted to interaction among audience and presenters. Presentations at a roundtable should be an occasion to stimulate extended discussion. All equipment requests must be indicated in the session requests. All speakers who plan to use computers must bring their own laptops and appropriate adapters. The large number of participants does not permit the consideration of special requests for times or days for paper presentations. Decisions regarding the acceptance of proposals will be made available by mid-January if not sooner. You should receive notification by email from your session or roundtable organizer or from the Conference Organizer. No paper will be read in absentia or via Skype. Any decision to not to attend the conference after 15 January will jeopardize the success of the session. The published order of speakers in a session should not be altered. All Conference participants must be members in good standing of the AAIS or the CSIS. To propose a paper for a session, submit a title, 200-300-word abstract, a brief biographical note, and request for audio-visual equipment. Please note that the AAIS and the CSIS will only provide data projector, screen, and speakers. Speakers should only submit a proposal if they are sure that they will be able to attend the conference. Each participant may present one paper, participate in one roundtable, and also conduct another official function, such as chairing a session. Organizing a session is not considered an official function. Sessions will last either seventy-five or (ideally) ninety minutes. Chairs must allot a fifteen-minute discussion period at the end of all sessions and roundtables. We urge speakers to follow these guidelines for the maximum length of papers: Seventy-five minute panel with three speakers: 18 minute papers; Seventy-five minute panel with four speakers: 13 minute papers; Ninety-minute panel with three speakers: 23 minute papers; Ninety-minute panel with four speakers: 18 minute papers. It is essential that a 15-minute period remain for discussion. Please bear in mind that a primary function of presenting a paper is to discuss scholarly interests with colleagues. By limiting time for discussion, you undermine an important goal of the conference. No papers may be read in absentia or via Skype. By deciding not to attend the conference after 15 January, you jeopardize the success of the session and may deprive a colleague of the opportunity to deliver a paper. NB: A delegate may read no more than one paper, chair a session, and participate in one roundtable. The Conference Organizers, in keeping with the founding spirit of AAIS and CSIS wish to reconfirm the interdisciplinary character of the organizations. They will, accordingly, arrange for sessions in such areas as Italian history, art history, and music, and ask the membership to encourage colleagues in other disciplines to submit session proposals. Graduate students are encouraged to submit proposals ONLY if they have already embarked on the writing of their dissertations. Papers written during the first few years of course work may not be an accurate indication of performance in more advanced stages of the graduate career. Faculty members in attendance who might later be judging students’ job applications could be unfairly biased by hearing papers that do not represent the degree of intellectual sophistication that the students will reach once they are fully involved in dissertation research. Graduate students should view their AAIS and CSIS papers as potential “job talks” and should be sure that their performance reflects their highest level of academic and professional achievement. Banquet at the Blackwell Saturday, April 22nd! Reserve a spot on the Cartoon Museum & Library Tour Today!